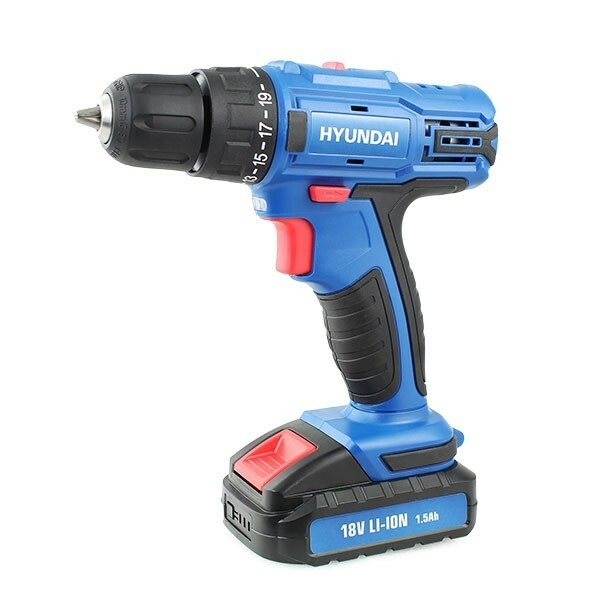 Powered by Hyundai 18V Lithium-Ion 1500mAh rechargeable battery. 2-speed gearbox covers a wide range of drill diameters. LED work light for precise drilling in darkened areas. 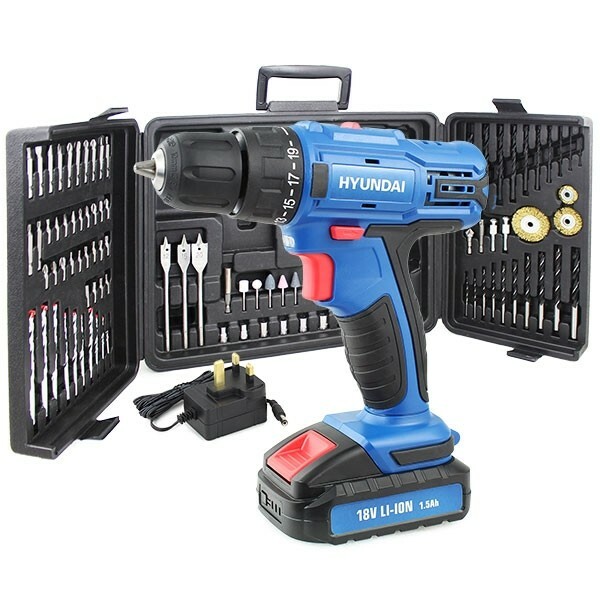 Keyless chuck allows you to easily change drill bits in seconds with minimal interruption to your work. 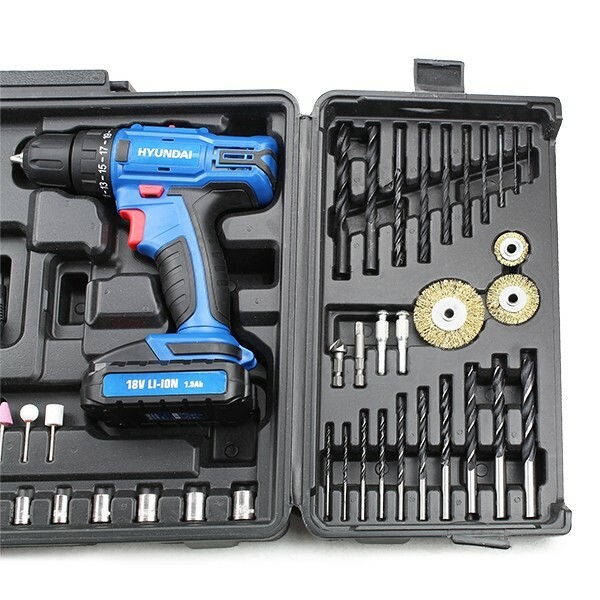 89 piece drill bit & accessories contained in a lightweight carry box. 20+1 torque, reverse function and variable speed trigger control. No load speed 1: 0-350rpm or 2: 0-1300rpm.